All our dual vessel cartridge or bag filter units are fully compliance with PED 2014/68/EU for fluid group Cat 1, module A CE. Our dual pod cartridge filter units are suitable for filtration of all (hazardous) fluids. Most existing oilfield filter units are built for only water filtration (fluid group 2, SEP) . According to the European Law (PED 2014/68/EU) all filter housings for filtration of waste water or brines like formates, bromides, acids must be classified under fluid group 1. Our offshore frames are designed and built in accordance with DNV2.7-1, certified by DNV. Together with the Rudi quick opening closure our dual vessel filter unit is the most flexible, effective and HSE friendly filter unit available on the market. 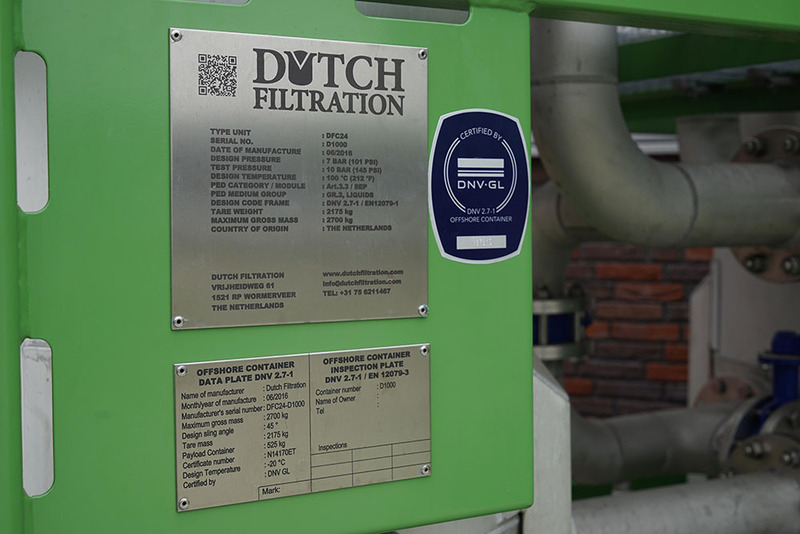 Dutch Filtration is manufacturer of filter equipment and filter consumables for the upstream oil and gas. The dual vessel units are also available for long and short term rental. All common filter cartridges and oil absorption elements are in stock. 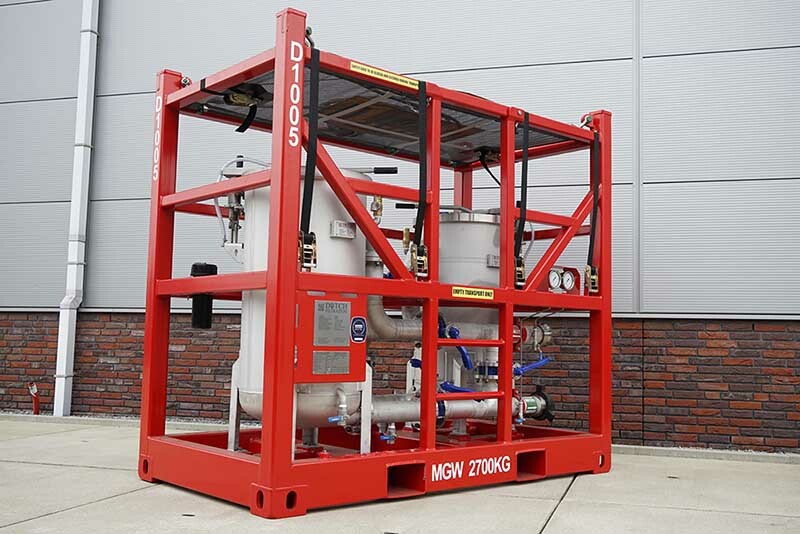 After the final approval by DNV tomorrow, the DFC24 dual vessel cartridge unit will be shipped to large oilfield service company for filtration of completion fluids.